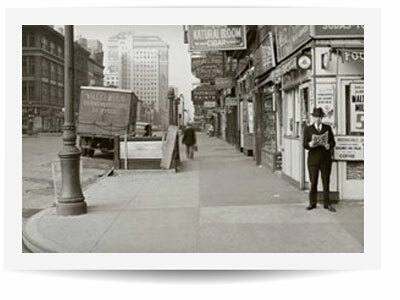 1950'sEastern opens its first silversmith shop in the lower Eastside of Manhattan. 1970'sSterling silver items geared to the wholesale gift markets have become Eastern’s hallmarks. 1980'sEastern opens its first retail sterling silver gift shop with a vast selection of quality merchandise and attentive sales clerks. 1990'sEastern branches into holloware and buffetware for the hotel industry by opening its own silverplating shop. 1995With a great increase of deep drawing, metal stamping and spinning , as well as custom die work for our holloware division Eastern is looking to divide the gift market from the commercial industry. 1997Eastern rolls out a full buffet food service department located on Park Ave. in the Brooklyn, NY Metro area to be able to give this market segment its full attention. 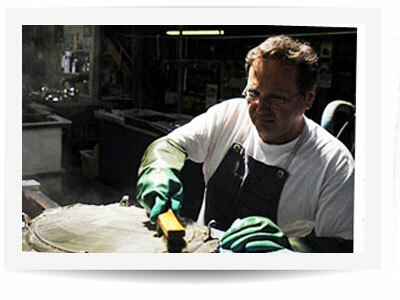 1999Eastern opens a new division and offers a restoration and refurbishing program for their existing and new clients. 2000Mirrored polished stainless steel becomes the accepted fashion in the food service industry as opposed to strictly silverplate for ease of maintenance and care. 2004Eastern launches its wood shop adding a full furniture line to existing buffetware. Offering our customers quality trolleys, bars and podiums proudly manufactured in the USA. 2007Eastern is awarded the Editor’s Choice Award at the International Hotel and Motel Show. 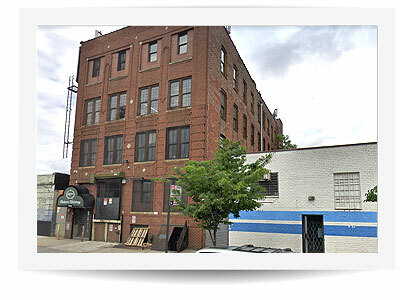 2009Eastern moves the factory, warehouse and office to its state of the art facility located at 1943 Pitkin Ave. in the East New York Industrial area. 2012Eastern reestablishes its position and proudly introduces a new full line of quality trendy tableware in addition to its all time classics. 2015Eastern veers into color territory and introduces XYLO colors finishes to all products. Black, white, copper, red and wood finishes on stainless steel become the most popular from the wide array of pantone colors offered. The magic of color sets the new tone for 2015! 2016Rolling Buffets creates a buzz and stirs the buffet industry with instant popularity when Eastern unveils the Cartwheel and High Rise Vertical Mobile Buffets. 2017Let's not think bigger, let's think smarter, becomes Eastern's mantra as The Hub buffet is launched. The simplistic sophistication of The Hub is widely accepted as the renaissance of the 2017 buffet. 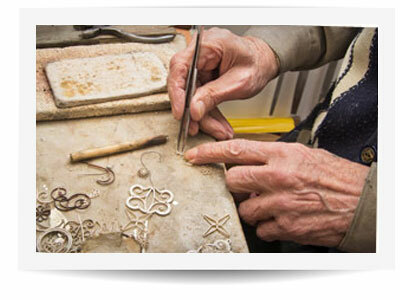 Starting in 1950 Eastern has been dedicated to designing and manufacturing silver items for the gift and food service industry. Over the years, the expansion of both the gift and buffet line led to the launching of Eastern Tabletop’s Foodservice Division. With sole focus on the tableware, holloware and buffet items combined with the years of experience in silver art the Eastern name has succeeded in being recognized as a company of Quality, Design and Trust. We are proud to stay behind our products that make their mark in the tableware industry with innovation, fine quality, personal service and exceptional value. Some things never change. Then again, some things get better. That's Live Action, The New Era of Eastern. More than a trend change, it's a renewed commitment to delivering holloware that adapts to your changing needs, simplifies your tabletop service, and provides guaranteed quality items “Designed to Last”. All our products are crafted to withstand years of use and service abuse, it’s the quality and workmanship of our products that are here to stay and will never change. A step ahead with innovative products, updated features and trendy items keeps Eastern the forerunner in the latest holloware and buffetware and in demand by the highly professional and celebrity chefs worldwide. Eastern’s fully stocked warehouse, factory and plating shop pay tribute to the wealth of possibilities and custom options available to meet the needs of each individual customer. Our state of the art plating shop gives our customers the choice of finish from highly polished or satin stainless steel, silverplate, copper plate or color coated. Experts in the industry, like culinary chefs, banquet directors, and club managers have continued to rely on, and place trust in Eastern’s chafers and hospitality holloware, for their upscale functions at hotels, resorts, casinos and country clubs. Eastern’s Plating Process involves a unique and extensive operation. The original base product being either solid brass or heavy gauge stainless steel is heavily nickel-plated. While the nickel primer protects the silver, it also prevents it from pitting or scratching, and forms a mighty strong bond. The procedure then continues with a generous coating of quadruple plating with hotel-grade pure silver. Finally, the Plating Process is complete with an extensive level of machine polishing which provides a smooth exterior and a lasting, gleaming luster. A supplementary line, featuring our high end company quality, is Eastern’s 18/10 Stainless Steel complete line of chafing dishes and holloware. For an elegant presentation with an affordable, maintenance-free advantage that never needs polishing, our heavy gauge mirror polished or satin Stainless Steel ware is the ultimate choice. The fine blend of chrome and nickel provides overall rust-free durability and a brilliant luster. It certainly looks like silver; only you perceive the difference. Our showroom offers the pleasure of a sight and touch shopping experience. All our items from chafing dishes, coffee urns, trays, bowls and accessories are out on display not only for you to see, but to touch and handle as you wish. Under the guidance of our skilled salesmen a hands-on product demonstration is available. In addition, our expert staff will be ready to give you a full tour of our state of the art plating shop and factory so that you get a peek behind the scenes of a great product. Our highly rated website offer shopping at your leisure. Our experts prepared the comprehensive product information you will find on our site to give you all details and ease your cyber shopping trip. By requesting a quote, our in-office sales force will automatically make the connection to several dealers in your area or connect you to a web retailer for immediate help. If you don’t have one yet, be sure to ask our sales team for our updated newly released full line catalog. Browse, review and get acquainted with our products at your convenience. Our highly trained office professionals are ready, willing and able to help you along or take care of your order once a selection or decision has been made. Enjoy our personal touch while shopping from your phone. Eastern professionals will guide you through our selection and help you find the right solution for you. Take full advantage of their expertise with a discussion of your tableware needs. Their conversations will leave you wiser and their recommendations will happily surprise you. Fax your orders anytime and we will confirm receipt and expedite those orders as securely and quickly as through any other channel. Eastern has successful growth rebate programs and corporate packages in effect with many corporate accounts. Inquire with our trained sales staff to determine which program will work for you. We will create a custom program geared to fit your specific needs, and our team of personal account managers will walk you through the process. Our team will help you with establishing a line of credit, customer service, and any other needs you have. We proudly serve federal, state and local government entities through special pricing and GSA contracts. Eastern offers customers GSA pricing and Federal discounts, and highlights product groups that are of particular interest to government agencies. Eastern efficiently directs end-user customer calls and requests to food service dealers in your area. We will make sure the customer gets the info and service required and will not rest until we determine customer satisfaction. By registering your end-user’s info with our staff, Eastern will protect you with deeper discounts and tailored service. Almost two years has passed since I started a business relationship with Eastern Tabletop Corporation. I think it is time for me to express my deep appreciation for the produces and service that Eastern has provided to me over this period of time. As you know I am not an easy person to sell to but when a business relationship goes as smoothly as ours has, I wanted to put my satisfaction in writing so that you could share your success with other potential clients. Our first business transaction involved the purchase of approximately 50 induction chafing dishes. At first I did not understand why your product was a little more expensive than some of the other vendors that I was researching. If you remember I requested samples and then I brought in an owner of a sheet metal fabrication company to help me evaluate differences. One of the first things we learned after measuring the thickness of the chafers, Eastern’s products were made from a thicker gauge of sheet metal. Anyone in the industry should know that thicker sheet metal holds heat at a more consistent temperature than a thinner gauge. We also like the design from a durability stand point. All of the products have been shipped to me in a timely manner and arrived undamaged. As far as problems with the products, there hasn’t been any. Should you have any customers that would like to know what it is like to deal with Eastern Tabletop, they can feel free to contact me at 502-419-9225 and I would be pleased to share my experiences. * Customer Name and Facility Information available upon request. 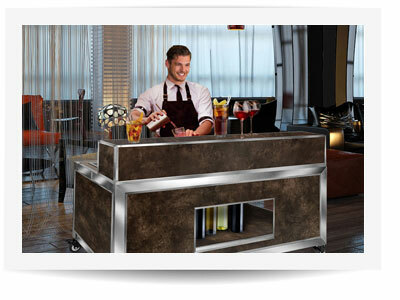 Our Facility has been in the hospitality industry for over thirty years. Our corporation features eight banquet facilities throughout New Jersey; each facility executing over one hundred weddings per year and hosting a plethora of different social and corporate events. Consequently, it is of the utmost importance that the quality and appearance of our banquet equipment and product displays not only measure up to company standards, but also meet the expectations of our clients. Eastern Tabletop took us on as a Corporate Account customer in 2002. Prior to that time, our corporation struggled to find a reliable, reasonably-priced equipment manufacturer. Eastern Tabletop’s buffetware, servingware, chafing dishes, and product displays have met, if not exceeded, our expectations. Furthermore, the convenience that comes from purchasing all necessary banquet equipment from a single source is extremely favorable. In addition to the satisfaction that has come with the product quality, it has been a pleasure working with Yossi and Sol. Not only are Yossi and Sol prepared with comprehensive product information, but they are also two of the kindest sales representatives one could ever encounter. Their strong work ethic and friendly demeanor make it apparent that customer satisfaction is the company’s top priority.